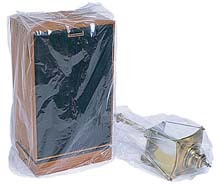 Gusseted Poly Bags at Wholesale Prices! International Plastics is a manufacturer and wholesale supplier of Gusseted Poly Bags, stocking a massive inventory Ready for Same Day Shipping in a variety of sizes for various applications. An expandable pleat on both sides of a gusseted bag gives you plenty of space for bulky items. 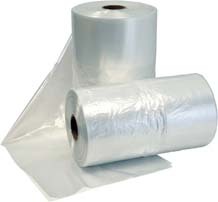 International Plastics boasts a large variety of gusseted poly bags on rolls in 5 thicknesses. Flat Bottom or FB Gusset Bags can be clear with a flat bottom and are very often shaped like a brown paper lunch bag. Heavy Duty or HD side gusset poly bags have an area in the back of the bag where the seal is and they are made from a thicker mil poly, which therefore makes them much more durable or stronger. Standard Poly or GB Gusset Bags are very often clear and almost always have no back or side seams. A common example is seen in standard garbage bags. Bottom Gusset or BG Bags work great for being placed in a container or basket.